Our hilarious dog tee is guaranteed to add a touch of cheer to the holidays . An original screen-printed design on a soft, easy-fit tee. 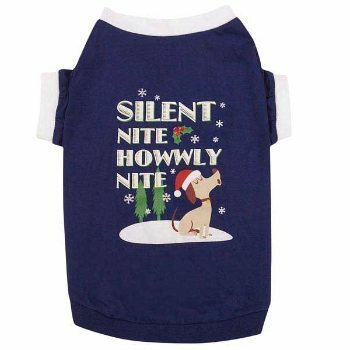 Machine-washable blue holiday Dog Item.